FB-WhatsApp Deal : Lessons To Learn !! Everyone seems to talk about FB-WhatsApp Deal these days !! 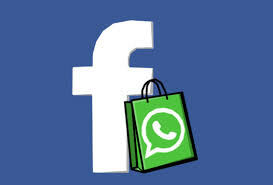 Its not just the size of the deal that is talk of the town, but also it is leaving everyone wondering, “What made FB pay such a huge price for WhatsApp ?” Given that WhatsApp is free (more than 90% people still use it for free). Moreover, it does not flash any advertisements (like FB) which could fetch revenues to it. Then how does WhatsApp earn ? And if it doesn’t earn much, why did FB pay such a big price for it ?? Before understanding this, lets try to understand, how the business of database works. We are all aware that telecom companies were making good money by selling the database of their users’ contact numbers. These database of contact numbers were sold to companies dealing in Credit Cards, Insurance, Personal loan, Holidays etc. However, this data was very low quality data as the telecaller had no idea about the age or profile of the person to whom she is calling. Thus, at times, she used to land up calling a person who has no interest or eligibility to buy the product which she is trying to sell. Then there was a similar model of collecting data from public places like Petrol Pumps, Shopping Malls etc. You might recall an event of a marketing executive chasing you to just fill up your name and contact number to make you eligible to win a “Lucky Draw”. You also felt comfortable to share your contact number, as there was “nothing to lose”. Later, these numbers would sell at a premium as the buyer of the database could safely assume that people walking in a mall or driving out of a Petrol pump, would have decent earning capacity and is likely to buy a product he is willing to sell. In fact, there are some elite clubs, who have heavy membership fees and thereby have a rich database of HNIs. You might be surprised to know that some Clubs charge as high as Rs. 20,000 for the contact details of each member. Or in simple words, they “sell” the contact details of one member for Rs.20,000. This data is of fairly high quality, as the buyer of the database knows that I can target this segment for high end luxury brands. So How does WhatsApp Come into Picture ? Having understood the business of database, it is also worth noting that the above mentioned techniques gave a very rough idea of the person in the database. The buyer of the database had a contact number, sometimes name and sometimes a blurred guess about his income. The buyer still did not have any way to find out the likes and dislikes, the requirements, or the grievances of the database he is buying. Here is where all the social networking platforms come into picture. In last few years, people have started freely sharing their satisfactions, dissatisfactions, complaints, requirements etc on social media like FB, Twitter and so on. In fact, there are professional data analytics organizations hired by big companies, just to keep a watch on content shared by people about their products. It helps them devise their strategies related not only to their own products and services, but also to their competitors’ products and services. In the same series, WhatsApp had a higher edge. It allowed people to talk in closed groups, chat one-on-one and that too 24X7. Some “confidential” data, which people were uncomfortable sharing on FB, they shared it very conveniently on WhatsApp (thinking it was Safe). Also, it was not restricted to the users of a particular company handsets (like erstwhile BBM). Why did FB pay such a huge price to WhatsApp ? Although $19 bn sounds like big money, if you work it out, FB paid around $42 for each WhatsApp user. (WhatsApp has an estimated user base of 450 million active users). And few more things which can be analysed with the help of his discussions with his / her contacts . Businesses would love to buy such a rich database at a very high premium because they would think that they can target the right set of customers and increase sales. Are there any lessons for us ?? How does it matter what amount FB paid to WhatsApp? Is it any of our business? Are there any learnings for us? The answer is yes. We need to learn below lessons from this deal. Whatever you discuss on WhatsApp as a confidential discussion, it’s all recorded and analysed by people totally unknown to you. So you can’t be sure, how it will be used. Beware while discussing confidential topics on any such platforms. This deal has suddenly raised hopes of all other “App” developers to develop an App that just becomes popular such that it is downloaded on maximum number of handsets. This could fetch it a big price. However, these Apps need not be chatting Apps. Even if they are gaming or any other utility Apps, they can access all your data (They first make you agree that you are granting them permission to access all your data and then actually access it). Thus, do not download each and every Free (or even paid) App you heard about, just because you think its “Cool” to have so many Apps on your mobile. Avoid making any financial transactions (funds transfer, online payment with credit card etc) using your mobile. Also, do not store any of your confidential and financial information (your bank details, credit card details etc) on your mobile. All the “Apps” you are using, will be able to access all this information, and you never know, when the misuse of this information starts. We look forward to your feedback and comments on the above article. Please feel free to contact us on CEO@nidhiinvestments.com if you have any questions. ← Beware !! Another Fraud in the Air !! The article is very broadly described though we are aware of the some facts like sharing the database but didn’t have idea that there is so much money involved in this. Thanks Saurabh for sharing this Article looking forward for more articles which are eye opener. Thanks for your valuable comments Rahul. Indeed, we need to be aware about the possible misuse of our data. Whether they are making money or not, could be immaterial for us; but if they are making money by damaging our privacy, then its a matter of great concern. Thanks again for your visit and feedback. Looking forward to many more in future. Nice Article Sirjee. Your article nicely describe a revenue model which can be debated as breach of user trust. To get away from legal liability they add these things in their terms of services which we conveniently ignore, like we ignore what capabilities are requested by mobile apps. Many apps request capabilities just to capture them and create database. Recently found that facebook messenger require complete access to all your SMSes (wonder why?). But its also is difficult for do without these apps in today’s world. I guess right thing is to do what you suggested, is be careful in sharing information on different channels. Nothing is actually free in business world :-), in fact free services uses data much more liberally without liabilities compared to paid ones. Other side of coin is analyzing data can enable to give better service. This creates a grey area where need access to data for better service and misusing that data when have access. This makes confusion for users whether to allow access for better service and take risk of getting shared with undesired business/people or don’t use the service and keep the data safe. I guess there is no perfect single answer to that, and users will have to use their judgement on case to case basis to fall on which side based on sensitivity of data. Articles like this will make them aware of risks and strategies used by businesses so they can make more informed decisions. Thanks for making us aware. You always add value to the article with your insightful feedback Sir. Yes indeed, there are pros and cons of everything. All we need to do is, be wary about our data. Worst would be, someone accessing and misusing our data without we having any remotest idea about it. Namaskaar Giriraj Bhaiji. Good to see your comments. Please do keep visiting more often and add glory with your valuable inputs. Thanks. Yes, indeed there are lot of opportunities as well as risks involved in the “Apps” business. One needs to act cautious.